students, including students with autism spectrum disorders or other developmental disabilities, stems from growing evidence that more needs to be done to ensure that young adults are prepared to pursue meaningful work in the 21st century workplace. In addition to basic academic skills, employers need workers with strong applied work skills such as teamwork, critical thinking and communication. They want young people who are able to work comfortably with co-workers and customers, to solve problems creatively, and to write and speak well. Employers also need workers who are punctual, dependable, and industrious. For young adults with disabilities who face challenges to obtain and keep jobs (National Organization on Disability/Harris Study, 2010), the stakes are high to develop academic and work skills through a coordinated set of transition activities. In the disability field, more efforts are being made to customize work opportunities that meet the needs of employers and match the skills of potential employees. There are also a number of initiatives that are supporting young adults with disabilities to develop a work plan for entrepreneurial opportunities. A strong philosophy of “real jobs for real pay” adopted nationally by state agencies and advocates encourages transition teams to focus on preparing young adults for competitive employment. The transition planning process for individuals with disabilities must begin early to help them develop the skills they need to successfully meet employment goals. With comprehensive, effective and ongoing transition planning, students are prepared to achieve post-high school success. Transition planning is supported by a number of laws and policies that outline what the transition from school to work process should look like in order to maximize that success. The Individuals with Disabilities Education Act (IDEA) (2004) outlines guidance to transition teams on what is necessary to provide students with the experience and the skills they will need to meet their employment goals. The recently reauthorized Higher Education Opportunities Act of 2008 imposes requirements that colleges and universities develop effective transition programs and ensure that students with intellectual disabilities obtain appropriate transition services. 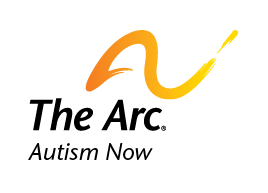 With this opportunity to pursue postsecondary education, individuals with autism spectrum disorders and other developmental disabilities can further develop the applied work skills and knowledge that employers say they need from 21st century workers. Postsecondary education experiences while still in high school via dual enrollment opportunities.